John Chetwynd, Managing Director of Telnet Services Limited shares case studies, tips, news and advice on successfully operating a contact centre and the industry as a whole. So how does a New Zealand contact centre make space for over 200 additional staff to take a massive hit of additional phone calls over predominantly a 3 day period? Oh, and there is to be no disruption to the existing work handled by the centre…. 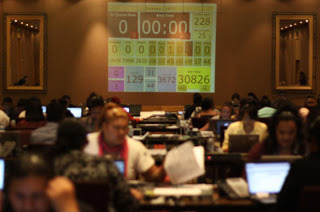 That was the challenge that Telnet’s IS team was given around 18 months ago when Telnet won the contract to once again provide contact centre services for the New Zealand census. The perfect answer to this conundrum turned out to be somewhat unexpected – the ballroom of the 5-star Stamford Plaza hotel, in the heart of Auckland’s CBD (and only 100 metres or so from Telnet’s head office). Despite the rather unlikely sounding collaboration, the massively supportive hotel management and staff played host to hundreds of Telnet contact centre staff over the two main weeks of census, and became part of a success story that not only showcased the resourcefulness and innovation of Telnet’s IS team, but really brought to home how important it is that our suppliers really see themselves as true partners. Indeed without our partners, and their engagement and excitement about this project (and them coming up with quite a few non-standard, outside the box ways for us to buy/hire/use their products or services) there is no way we could have pulled this off. Throughout this post I’ll mention a few of those key providers – not because they are paying us – but as my small way of saying thanks for all their help! 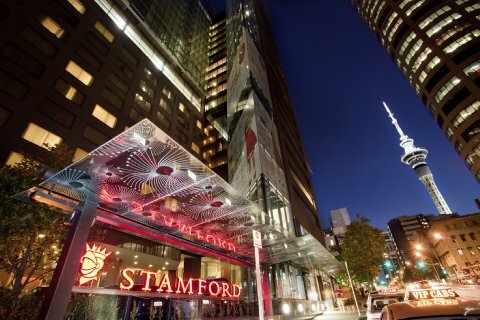 Stamford Plaza provided the space for us to work; their in house AV team from Spyglass worked their magic providing the not in significant supply of power to all the desks and Vector Communications handled the job of providing fibre services to connect our voice and data networks back to HQ. Next step was to install kit to all the desks; almost 1.5km of network patch leads, NEC IP Phones, Power over Ethernet(PoE) network switches and lots and lots of HP Laptops and power supplies! Making the decision to use laptops to provide the computer systems for the centre was an important one that saved a lot of time and energy in set up – though the initial challenge to the team was where we could get them from. Typical NZ based “events” don’t call for this quantity of hardware - so the “events rental” companies couldn’t really help. 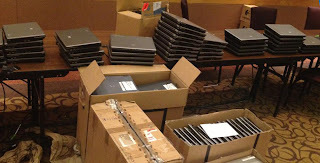 Luckily, our friends at Public Technology (who supply a lot of our desktop hardware) came through with a great mix of HP Elitebooks and Probooks that were more than capable of handling our ContactSuite application. Using laptops and not desktop PCs also, almost by accident, solved another challenge of providing systems support to such a high profile event – by their very nature the laptops are tolerant of power loss – so this saved us from having to provide battery backed power for the desks. IT Power provided us with UPS units to support our networking (including powering theVector kit at the hotel) – meaning we could continue to operate fully in the event of a short term (an hour or so) power failure. Thanks to some pre-work, we had the contact centre live and taking calls within a couple of hours of us getting access to the room. Over the rest of that day, and the next two days, we fully set up the rest of the centre, moving staff to each newly configured set of workstations to give them some real world use before the big census day. We set up a projector and stats display (Using the Zeacom Snapshot product) so the whole centre could see the calls we were receiving, but more importantly, keeping our contact centre supervisors “heads up” and walking the floor, rather than tied to their desks watching the screen. Census day itself was pretty much the monster we expected –we took over 40,000 calls and 6000 emails but we had no significant technical issues with our new centre, had network utilisation (our 100Mbit Fibre links that we spent a lot of time worrying over!) of only around 20-30% at peak and perhaps best of all, our staff (most of these hired en-masse through WINZ – see John Chetwynd’s blogpost) answered all these calls with an average wait time of only 4 seconds. "It's hardly even tickling the fibre link!" By the end of the “day-after-census” we were starting deconstruction. A day and a half, and a lot of packing, cable coiling, de-gaffa-taping and stacking later, we’d turned our contact centre back into three pallets of kit to go back to storage or our various suppliers. It was an awesome ride, and we’re proud to have been the supplier of services to such an important project as the NZ Census. If you’d like to hear more about our story, or maybe even have a need for something like this yourself then drop us a line. In the mean time though, here are some of the people we'd like to thank, and a selection of photos from the pop-up Census 2013 contact centre at the Stamford Plaza. 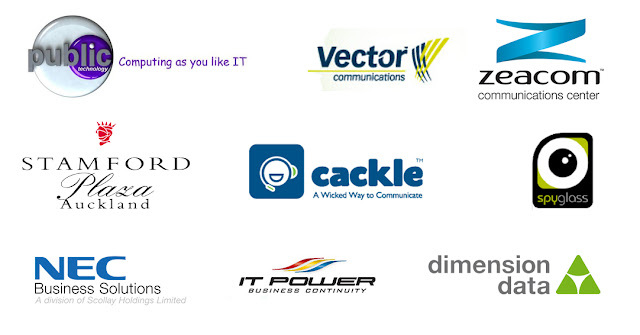 A big thanks to all our partners! NPS in an Outsource Environment – Friend or Foe?